Sometimes you find the tastiest recipes off packages in the baking aisle. These cookies were made from the directions on a bag of Hershey’s Chipits Reese peanut butter chips. I’m enjoying a rare Saturday off and am having a lazy day. So lazy in fact, I was careless with dropping the dough on the tray and ended up with very flat cookies. 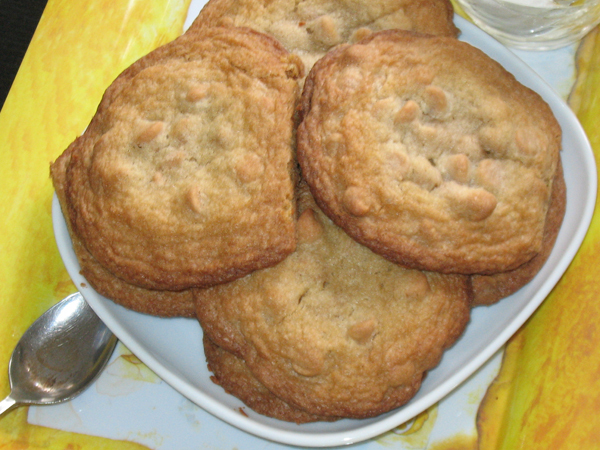 Behold, peanut butter cookies made without peanut butter! 1. Pre-heat oven to 190 °C / 375°F. 2. 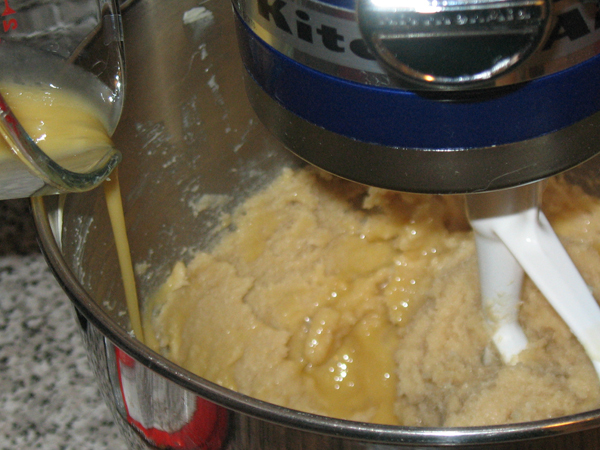 In mixer cream butter, brown sugar, and white sugar. 4. 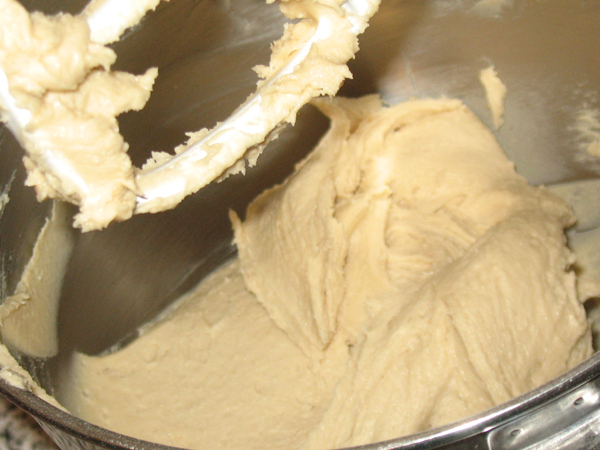 In a bowl combine flour, baking soda, and salt. 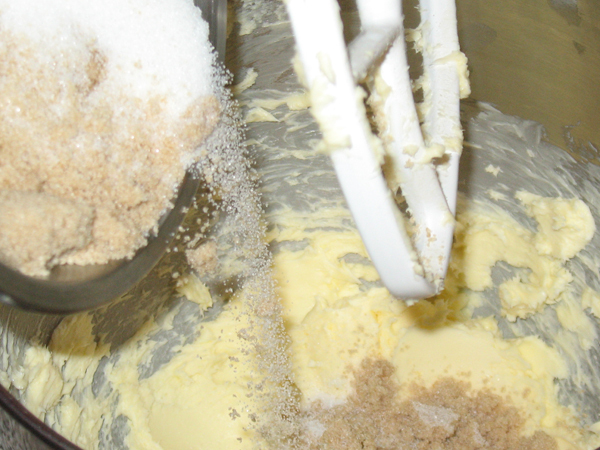 Gradually add to wet mixture. 5. Add peanut butter chips, and drop onto cookie tray. 6. Bake around 10 minutes. 7. Cool cookies on pan (on a wire rack) for 2 min, before transferring cookies directly to wire rack. Verdict: Not bad, but not the best peanut butter cookie I’ve eaten. 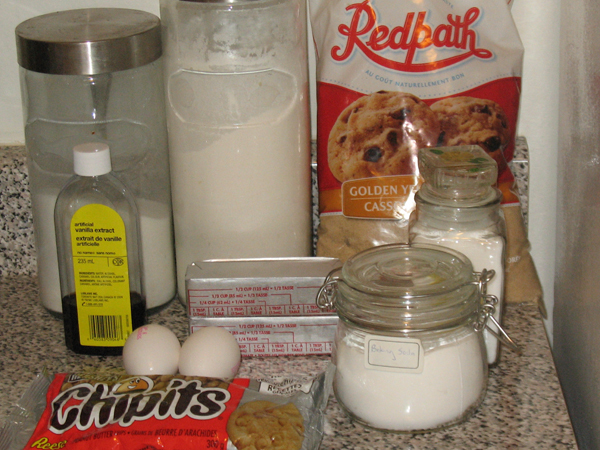 This entry was posted in cookies and tagged Chipits, cookies, experiment, food, KitchenAid, peanut butter, recipes. I used to work with a great cook named Ellie (who also had the most beautiful singing voice I’ve ever heard), and she taught me to put dough in fridge to chill as the final step, after 30mins to an hour, plop them on the sheet and into the oven they go! It helps keep the shape. Have you ever tried that?